If I Might Interject: Reflections on The Growing Dissent Among American "Super Catholics"
Reflections on The Growing Dissent Among American "Super Catholics"
Have you encountered the Catholic who appeared on the scene in the turbulent years after the Council? He was deeply concerned with the abuses and innovations which he saw entering into the Church, and he was deeply concerned with the bishops who seemed indifferent or sympathetic to the people causing it. He publicly voiced his concerns, but the Church took a position contrary to his. 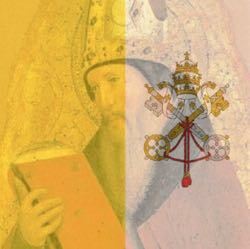 Eventually, he decided that the Pope and these innovations were responsible for these errors, and felt he had to oppose them in order to be faithful to the true practice of the faith. Unfortunately for the Catholics today who may proudly think of themselves as doing the right thing for doing this, the Council was Lateran V (1512-1517), the Pope was Leo X and the Catholic was Martin Luther—a man who did not start out intending to break away from the Church, but grew so convinced that the Church was going in the wrong direction that he ended up in opposition and died outside of the Church. To put it bluntly, it really pisses me off because of the suffering they cause. I encounter Catholics who want to be faithful, but are having their faith assailed by these kinds of “super Catholics” (not intended as a flattering term) who portray themselves as knowledgable about the faith. These “super Catholics’ prey on the fears of the Catholic who wants to be faithful and is troubled by dissent in the Church—telling them that these antics are the fault of the post-Vatican II Church, and especially Pope Francis. By selectively quoting segments of old Church documents from the Council of Trent and Vatican I, and contrasting them with Vatican II and post Vatican II documents taken out of context, they give the impression that the Church now has fallen into error, and the only way to escape is to remake the Church in their own image. Yes, the Church has had problems with disobedience and corruption and indifference to problems, but there has quite literally been the same problems since the beginning of the Church (for example, see Acts 6:1). So, while we do have to deal with these things when they show up, we need to be careful not to overreact or have unreasonable expectations as to what the Church can do in response. But even with this understanding, we also need to realize that there can be different ways of dealing with a situation—different ways which are not laxity or sympathy with error. You and I might like to see the Pope drop the hammer on a recalcitrant Catholic, but that is not the only way the Church can handle the situation, and we are guilty of rash judgment if we would dare say that only our preferences are the right way to handle this. Another danger I am seeing is that the “super Catholics” seem perfectly willing to use the same tactics of the dissenters they condemned a few years back. The same sophistry used by Catholics to justify their disobedience of Church teaching on contraception, divorce/remarriage and abortion is being used by Catholics who want to justify disobedience of the Church teaching on social justice issues. The same emotional appeals, the same taking documents out of context—there’s less difference between Pelosi and the “super Catholic” than you might think when it comes to defiance of Church teaching. It’s just a matter of decree. I think the problem is this: The most infamous dissent against the Church from the reign of Blessed Paul VI through the reign of Pope emeritus Benedict XVI has come largely from the political rebellion rising in the 1960s where a false idea on freedom affected many, causing them to reject the Church teaching on life and sexual morality. But some Catholics have forgotten that while these issues are vitally important, they are not the only issues we must heed. They make use of the either-or fallacy and assume that if the Church is speaking about sins against social justice, it must mean the Church is tolerating the liberal dissent against moral teaching. But that’s totally irrational. The Church makes clear that faithfulness to God means following Him in all areas of our life, not just on ones we find politically acceptable. But the error we are seeing is that because the Pope is not a conservative, he is assumed to be a liberal—as if these were the only two options on the table. In fact, the teachings of the Church are not held for the same motives as people hold political ideas. We hold political ideas because we think they are advantageous (hopefully in a moral way). But we hold to Church teaching because of our love of God, recognizing Him as giving us His commandments out of love for us. Truth be told, the ”super Catholic” who decides he or she knows better than the magisterium, judging the Pope to be in error is no less a dissenter than the liberal dissenter who derides the teaching authority of “a bunch of celibate old men.” Both believe they know better than the Church who was given her authority by Christ. Both make use of emotional appeals to make their argument sound appealing. Ultimately, both say “I will not serve” when the Church teaching goes against what they want. We should avoid such false teachers, and pray for them.